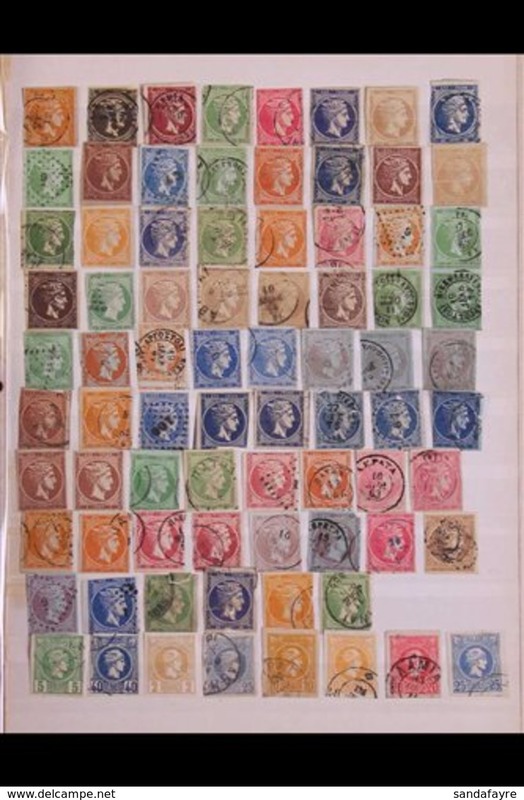 New 1859 Unusual study group of mint/unused issues, SG 1-3, comprising (½d) orange (12), (1d) blue (11), (2d) carmine (15). 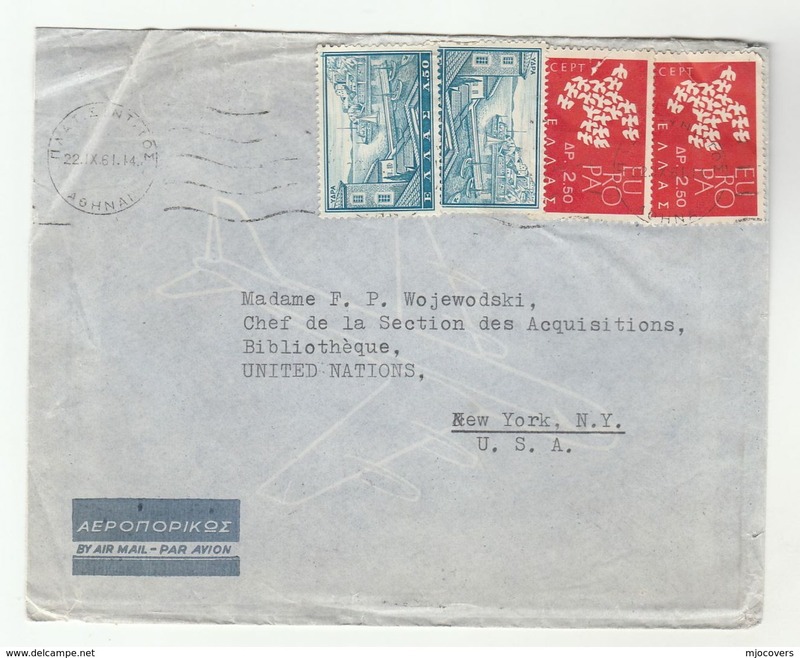 New 1931 FIRST FLIGHT COVER (May 1st) Athens to Cairo first flight cover, one of only 82 covers carried bearing KLM cachet. 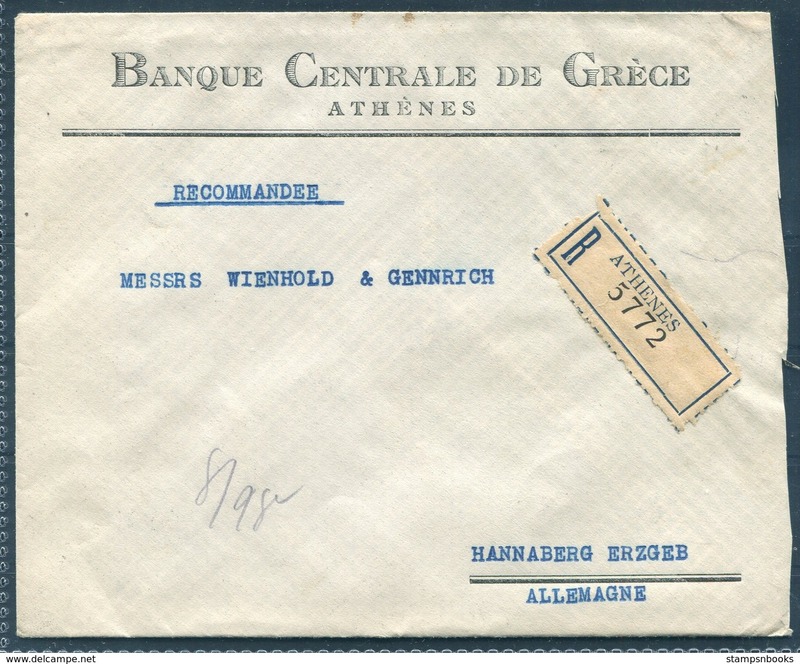 1929 Greece Registered Athens Bank cover, Banque Centrale de Grece - Hannaberg Germany. 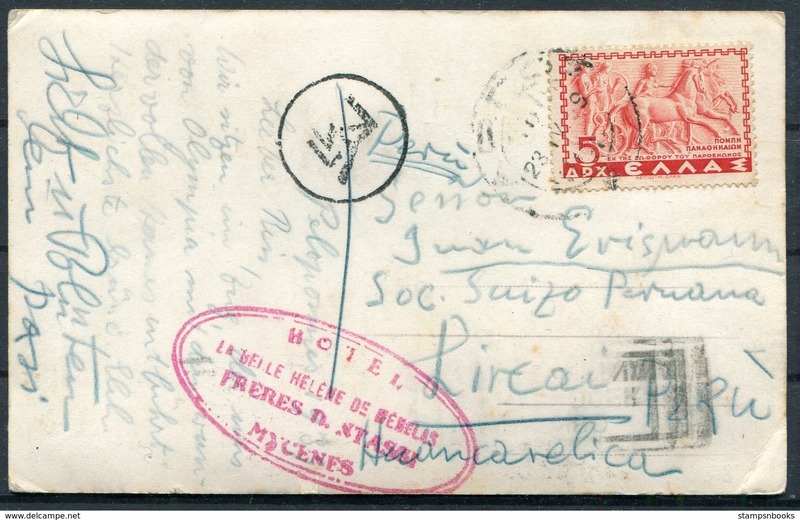 Thrace 1913 handstamped on greek stamps fine cancelled to order. 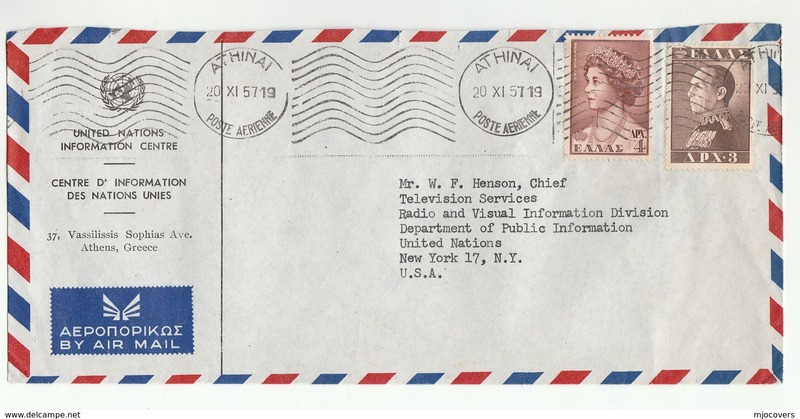 Greece 1935 Restoration set fine used. 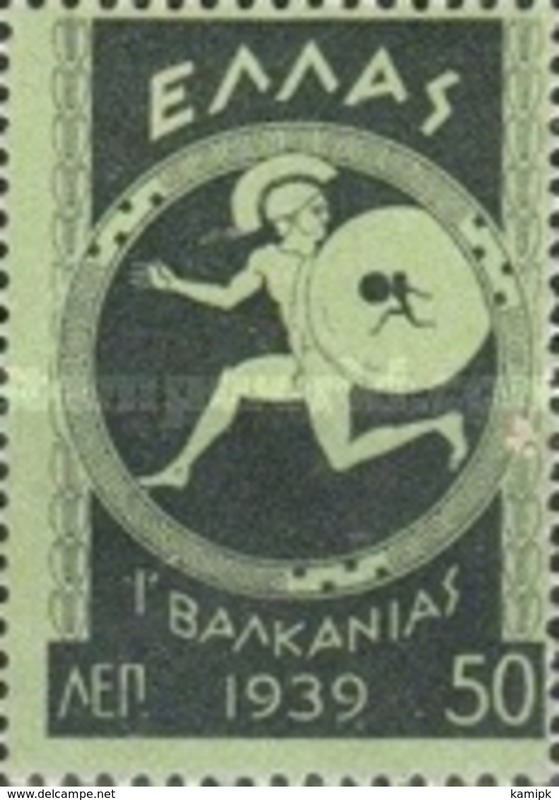 Greece 1933 100d Youth of Marathon fine used. 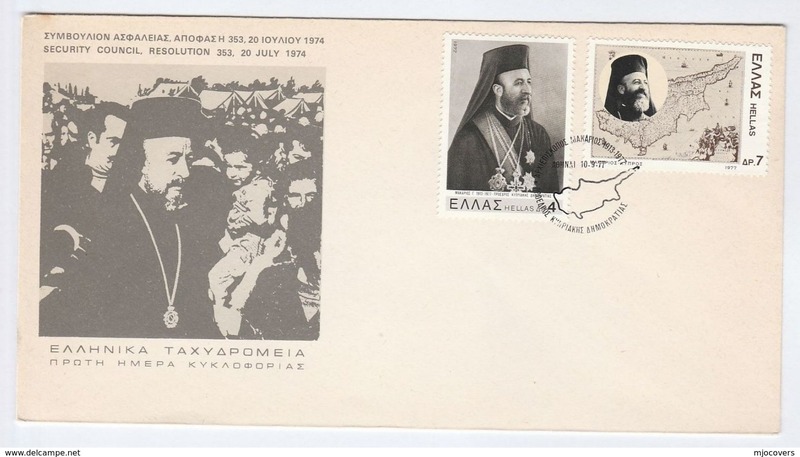 Limnos 1912-13 with Greek Administration overprint lightly mounted mint. 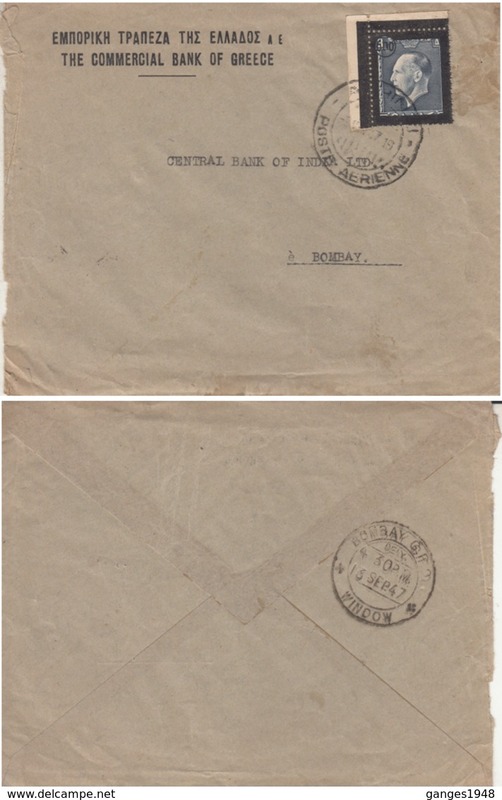 Samos 1912 redrawn overprinted set fine used. 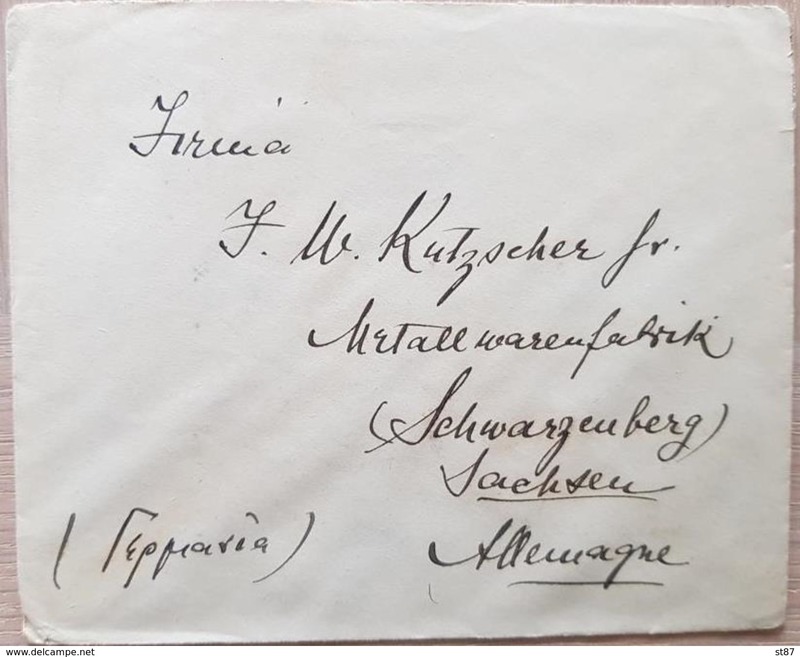 Samos 1912 perf set fine used. 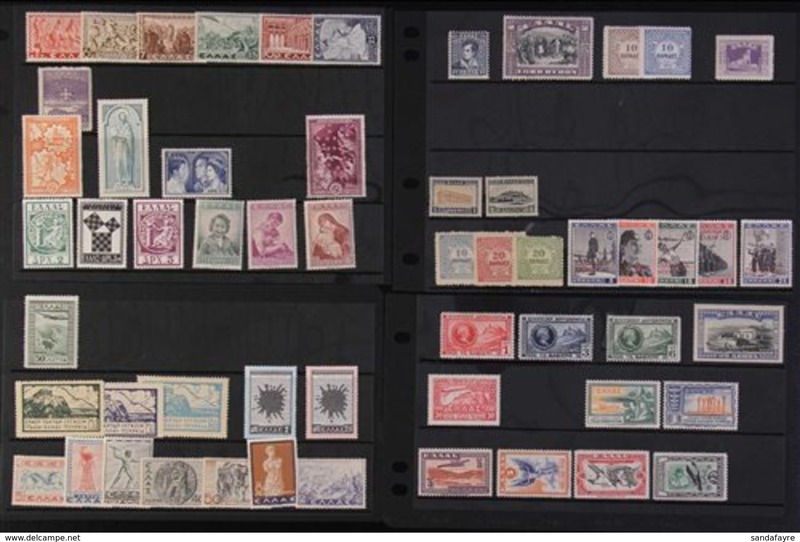 Thrace 1920 Administration and ET part set lightly mounted mint. 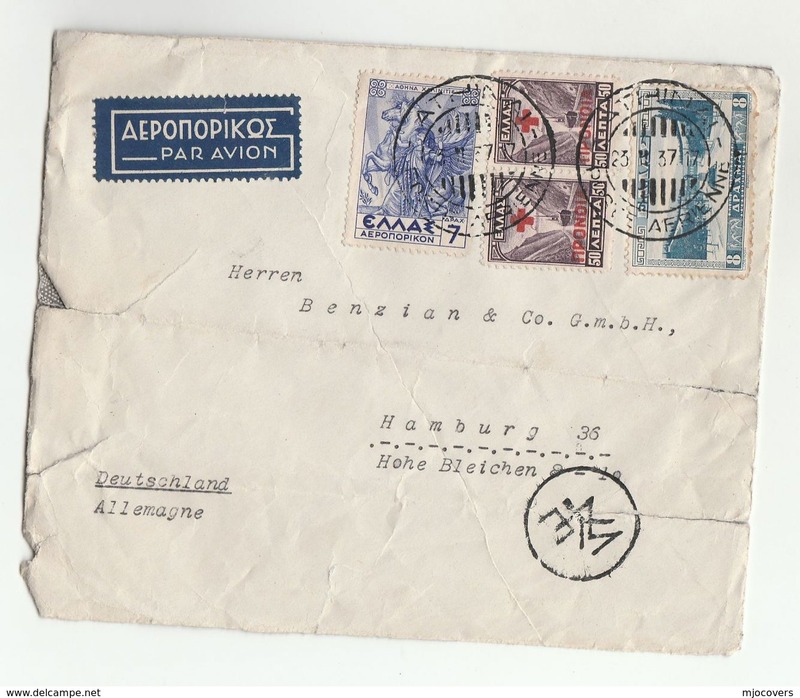 Thrace 1920 Administration 1l litho inverted overprint fine lightly mounted mint. 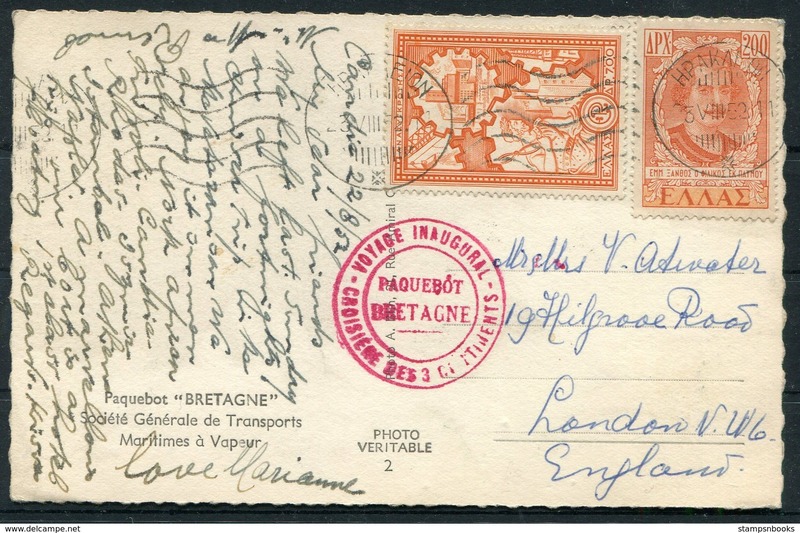 Thrace 1920 (Jan) overprints on Bulgaria mixed fine used and lightly mounted mint. 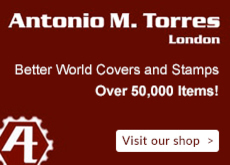 Crete 1905 Revolutionary Assembly 5l fine used. Crete 1905 Revolutionary Assembly handstamped set fine used. 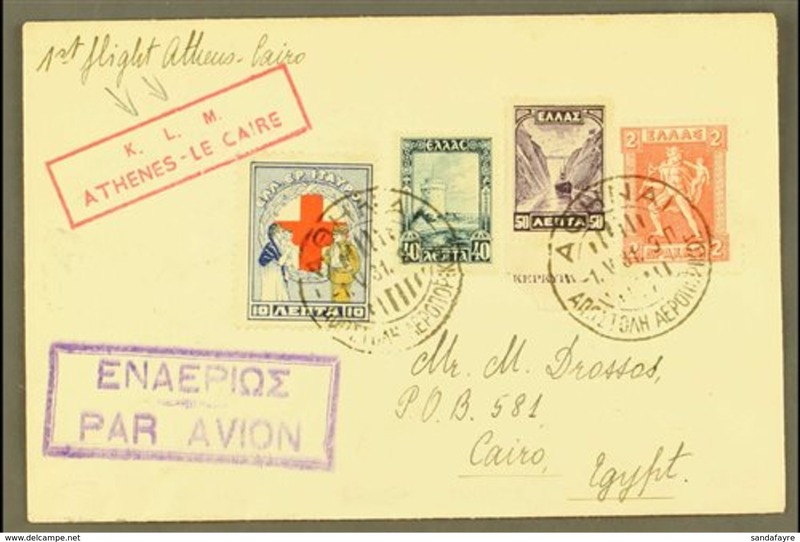 Crete 1908 3d Minos ruins fine lightly mounted mint. Crete 1908 1d 1d sepia and carmine fine used. 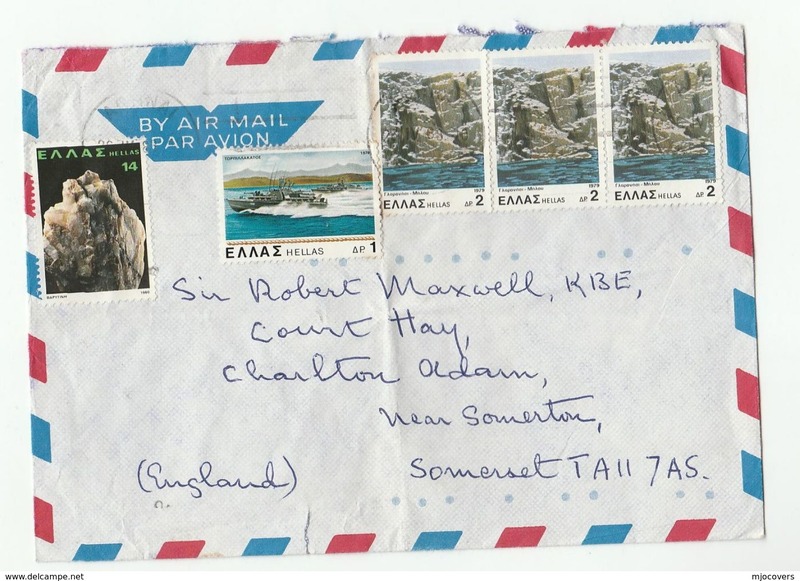 Crete 1905 King George set mounted mint. 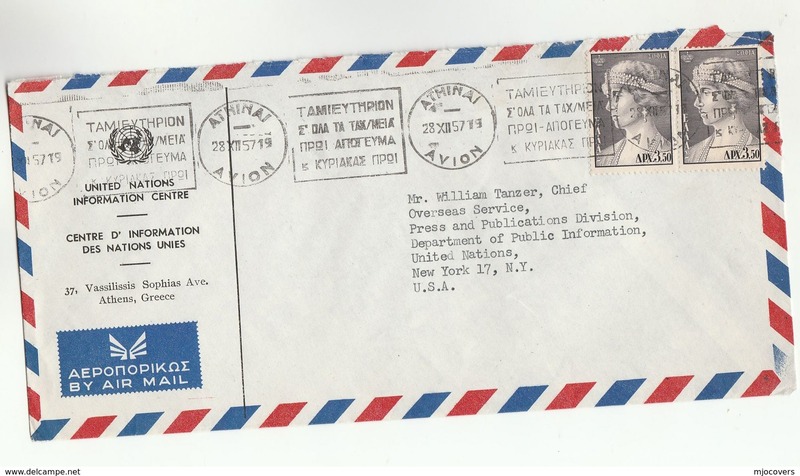 Crete 1905 3d Minos ruins fine lightly mounted mint. Crete 1905 1d sepia and carmine fine used. 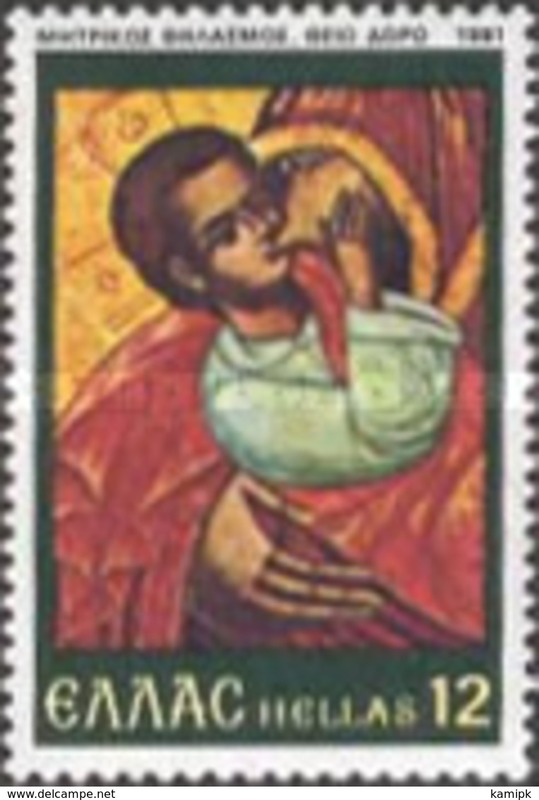 Crete 1905 10l red with perfect cross perfin fine used. Crete 1901-02 1d indigo-violet fine lightly mounted mint. 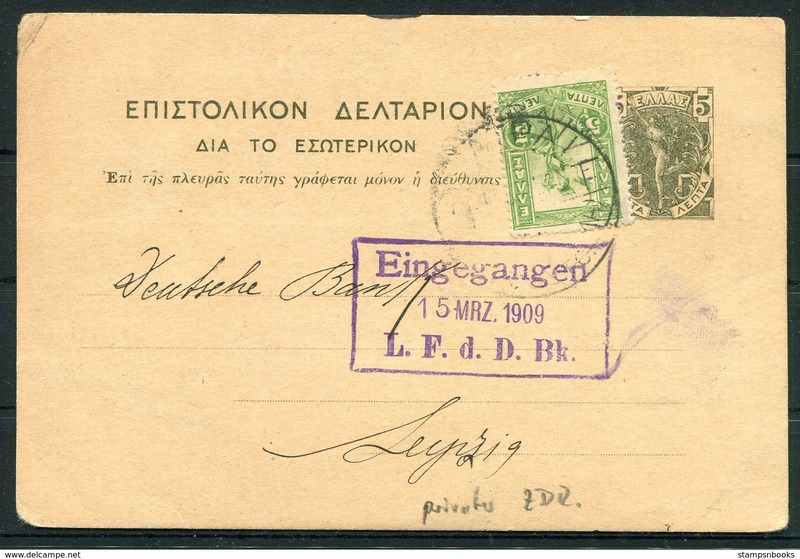 Crete 1901-02 50l deep lilac fine used. 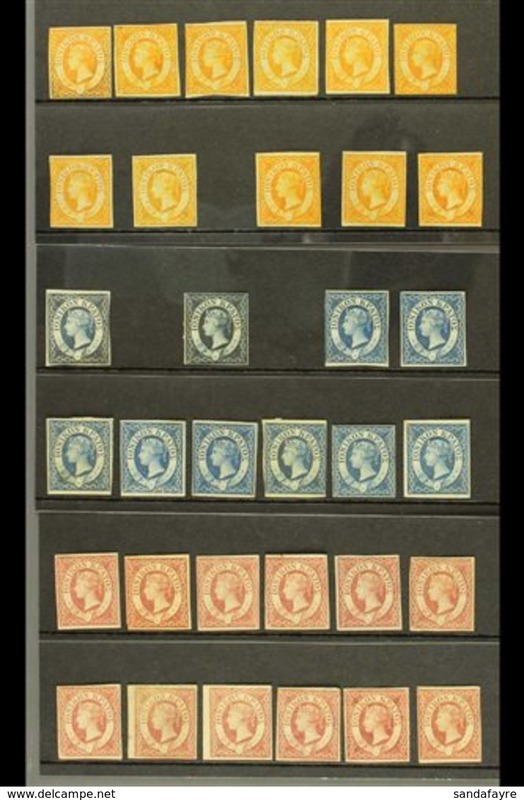 Crete 1901 changed colours set fine used. 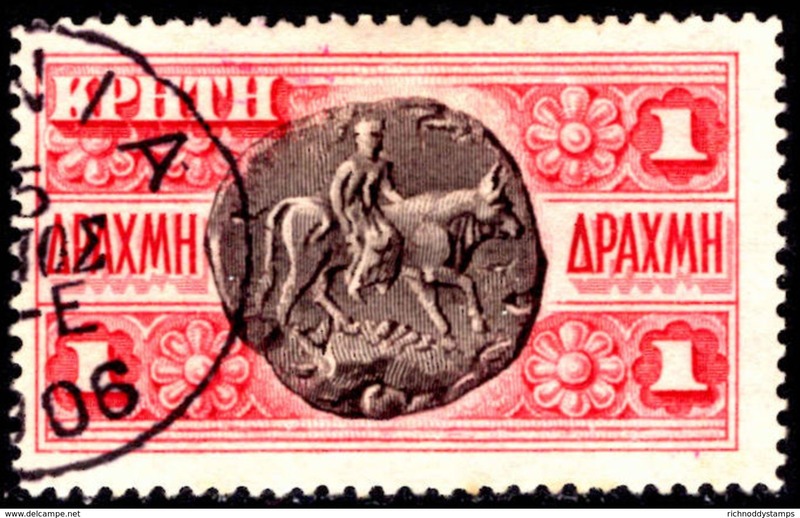 Russian PO's in Crete 1899 selection of values (1g claret damaged),mixed condition. ummounted mint. 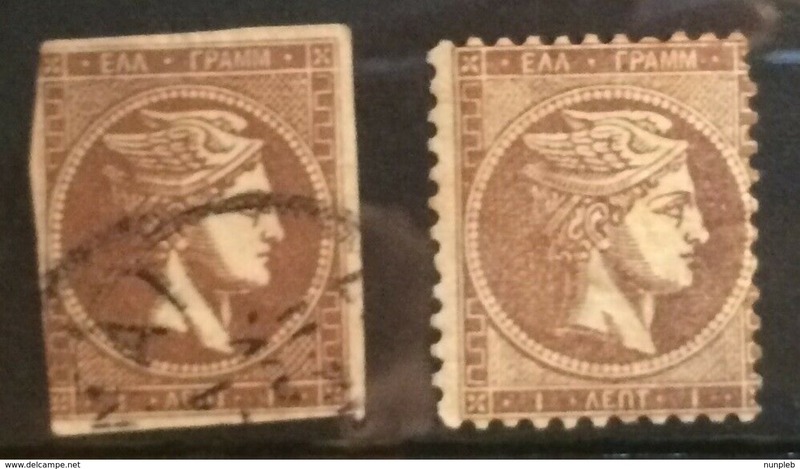 Russian PO's in Crete 1899 selection of values ummounted mint. 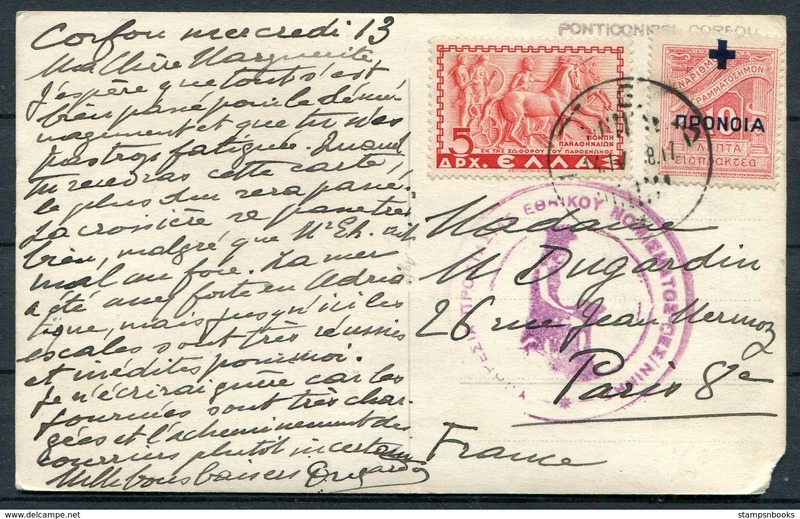 Russian PO's in Crete 1899 2m claret fine used. 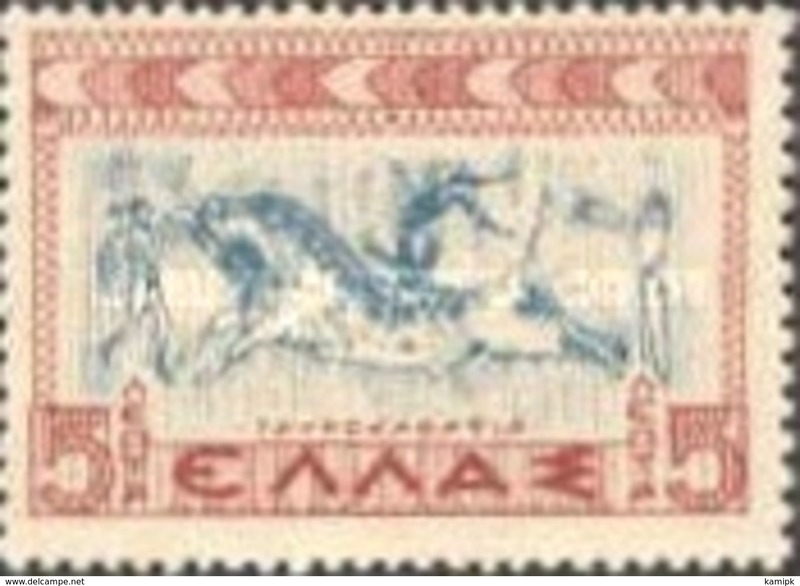 Russian PO's in Crete 1899 selection of values (2m blue thinned) fine used. 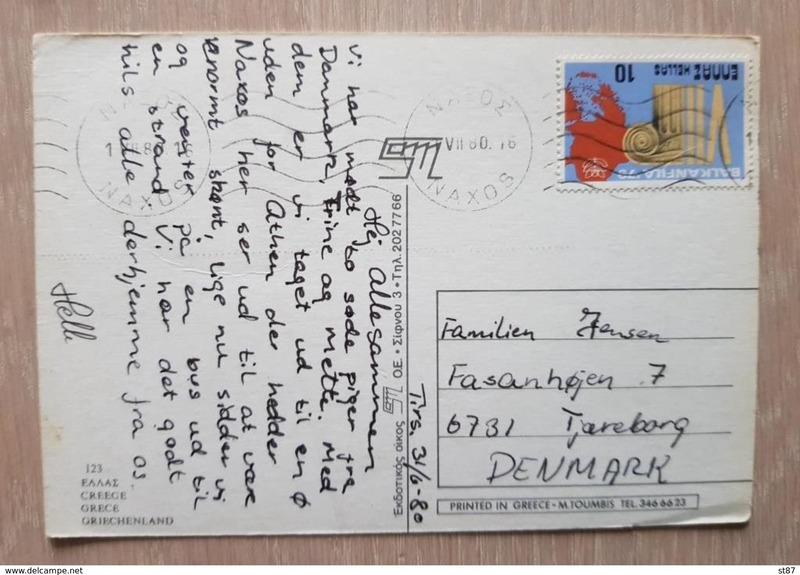 Russian PO's in Crete 1899 1m blue and 2m rose facsimilies. 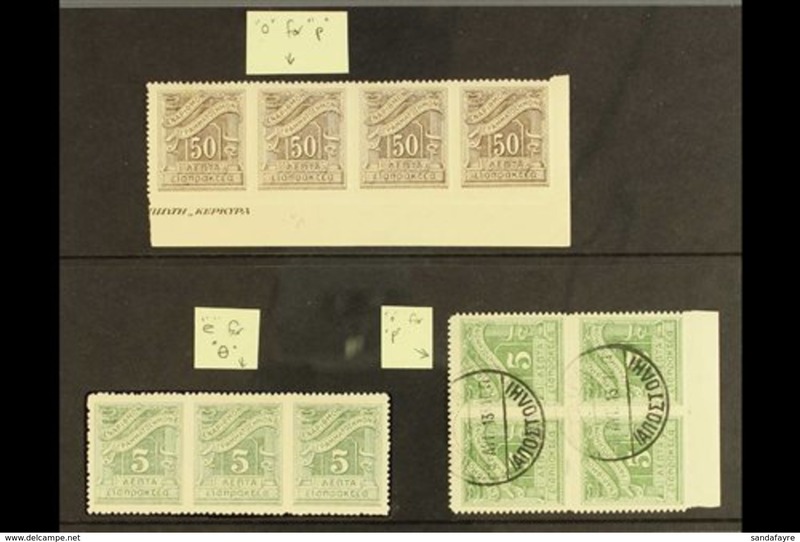 Crete 1898-99 set unused without gum. 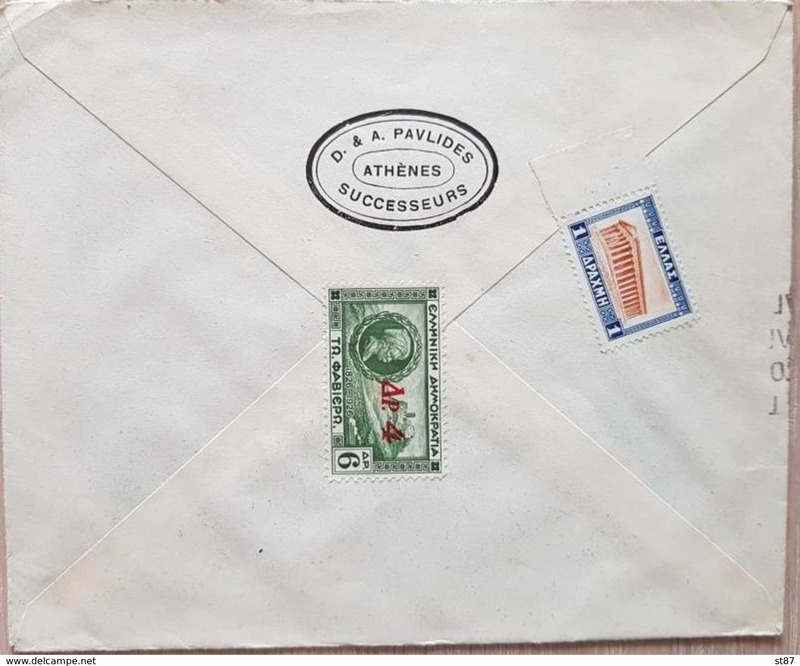 Greece 1900-01 50l on 2d bistre Olympics (faults) mounted mint. 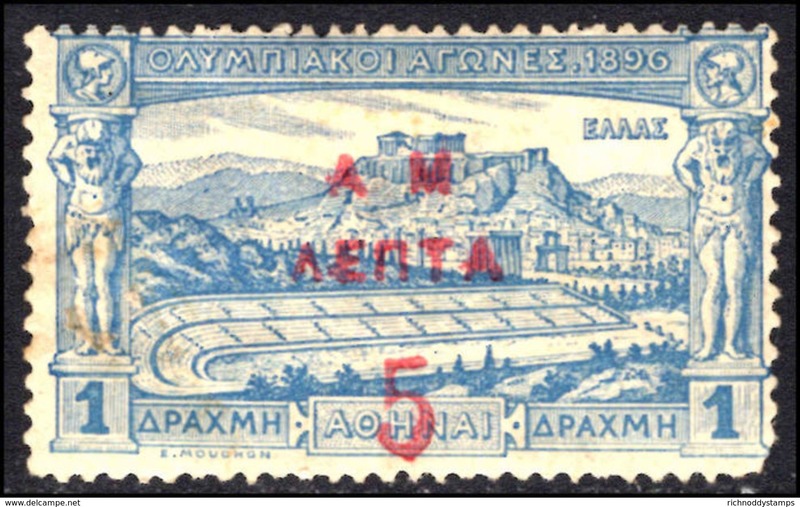 Greece 1900-01 5l on 1d blue Olympics (faults) mounted mint. 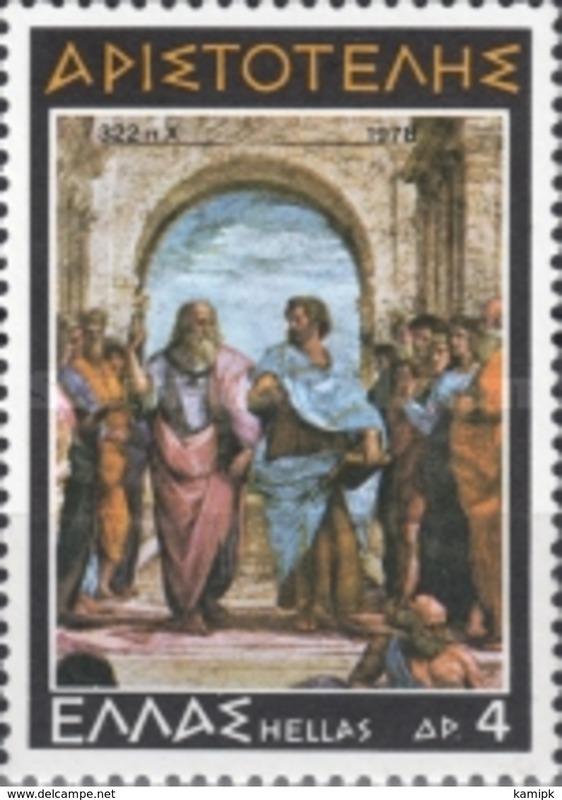 Greece 1900 50l on 40l perf 11½ fine used. 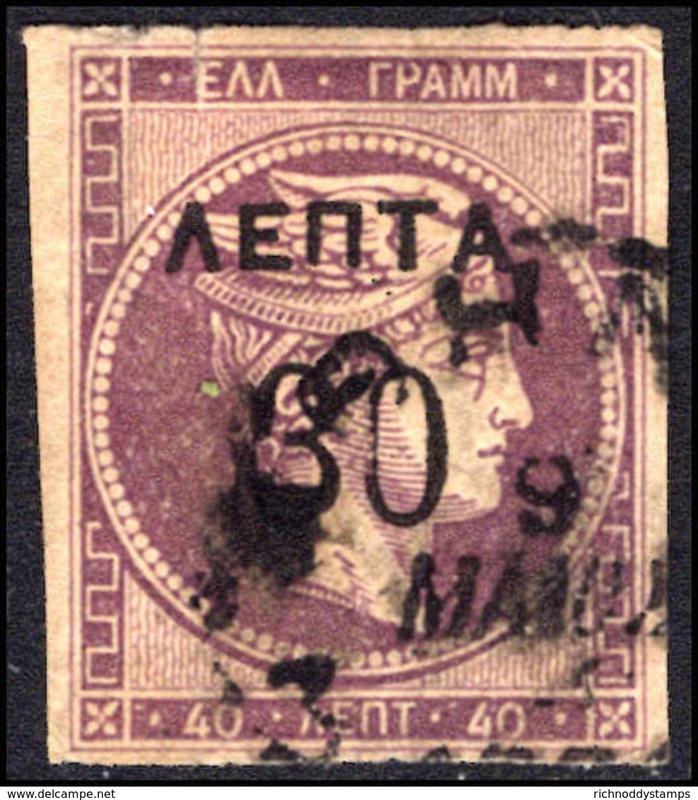 Greece 1900 30l on 40l deep mauve perf 11½ fine used. 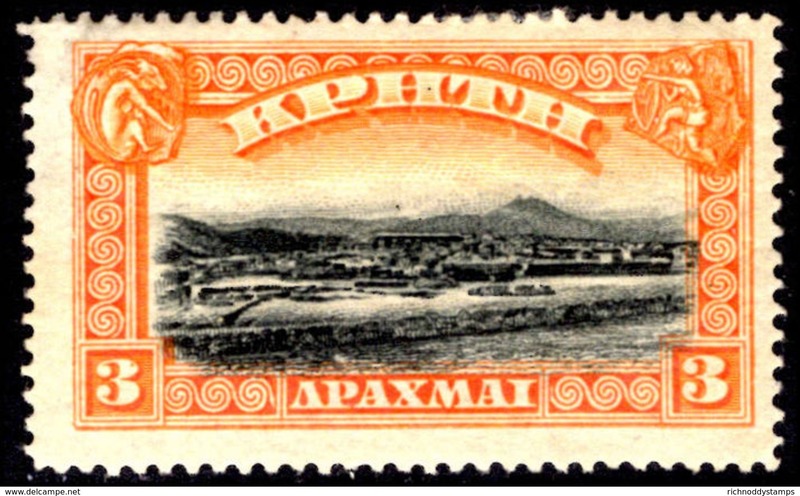 Greece 1900 3d on 10l imperf fine used. 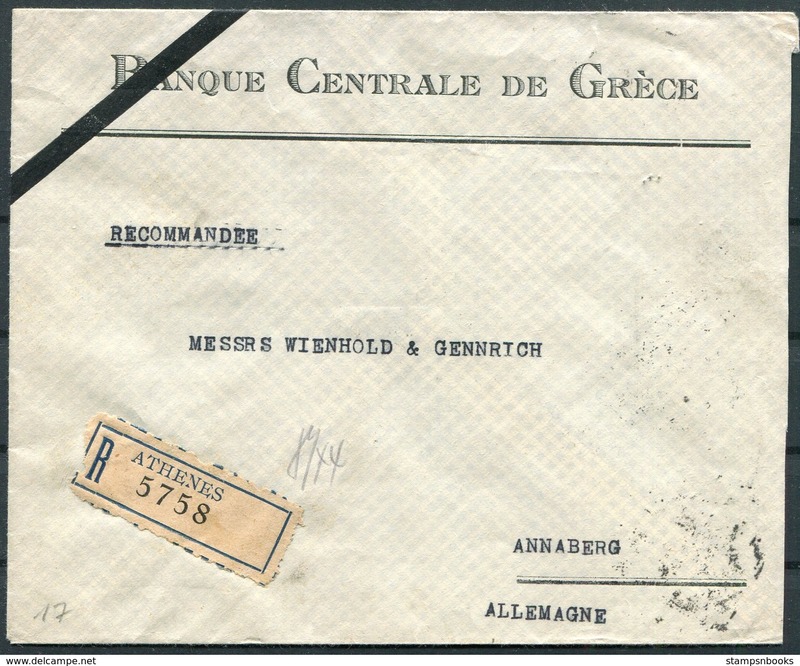 Greece 1900 50l on 40l imperf fine used. 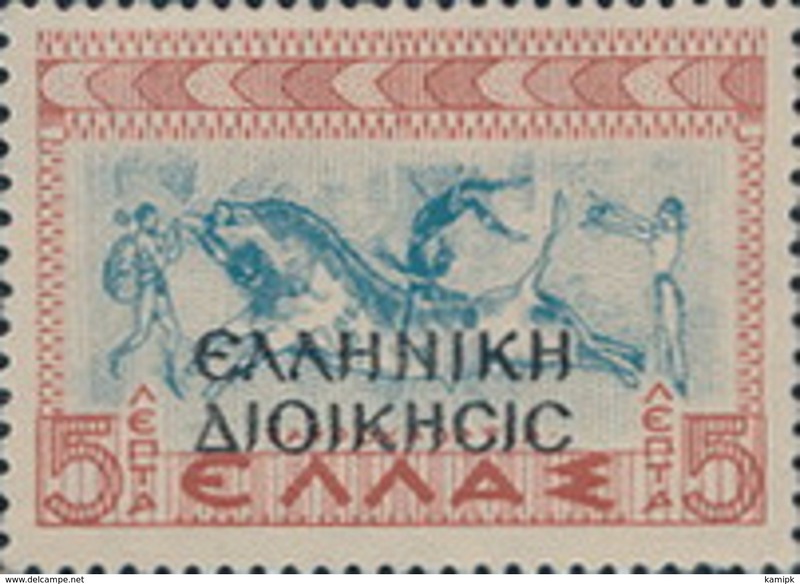 Greece 1900 30l on 40l deep mauve imperf fine used. 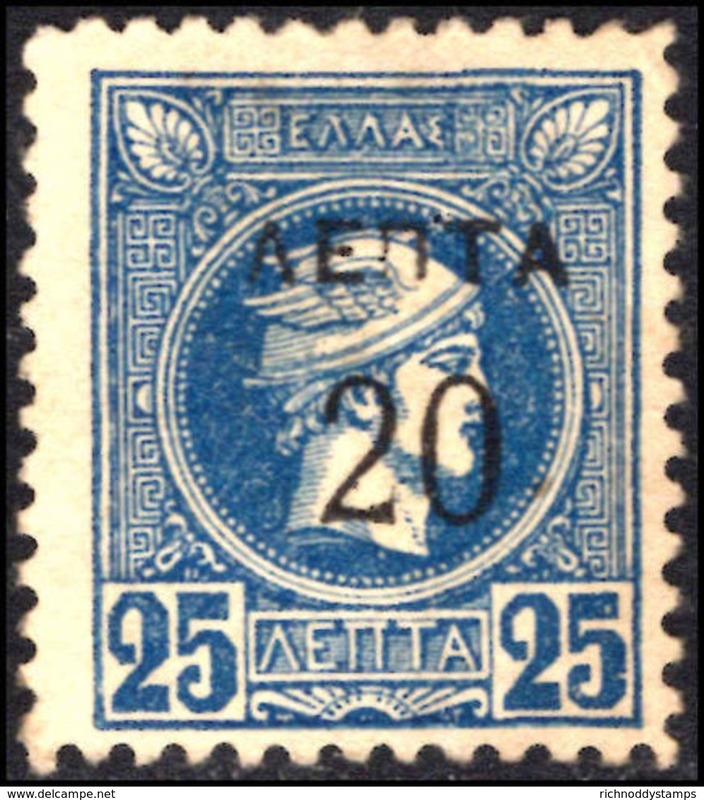 Greece 1900 20l on 25l blue perf 11½ fine lightly mounted mint. 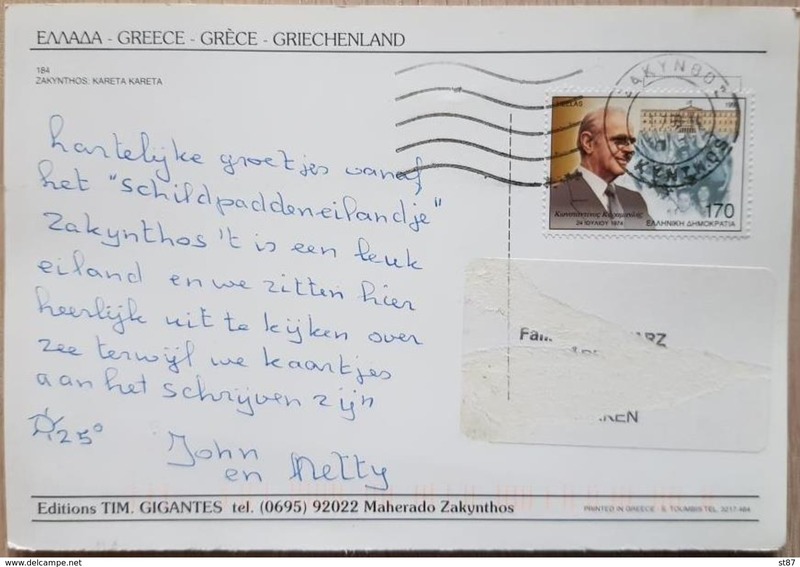 Greece 1900 20l on 25l blue imperf fine lightly mounted mint. 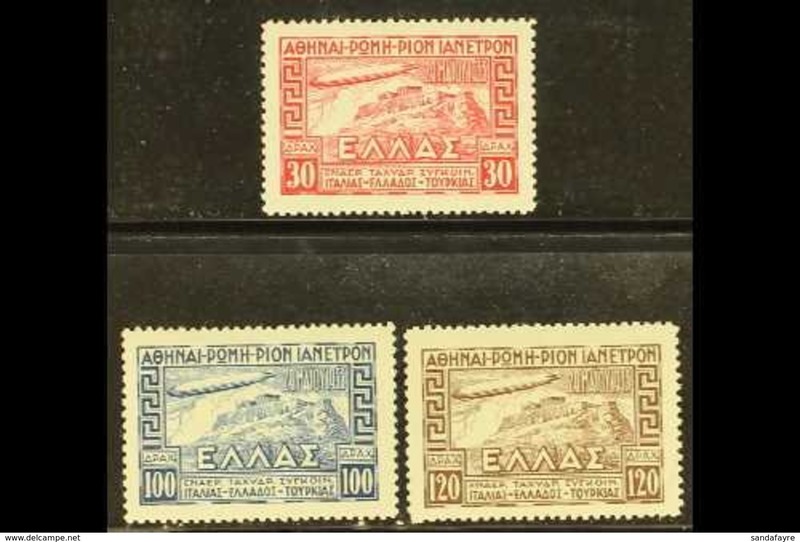 Greece 1900 1d on 40l purple imperf fine used. 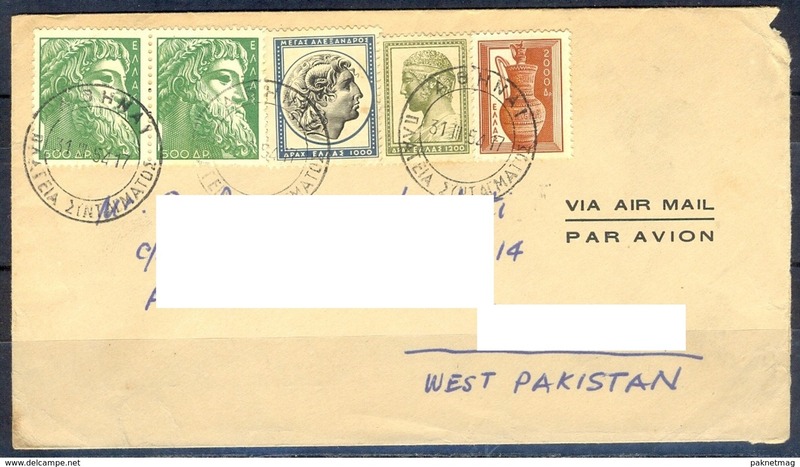 K262- Old & Rare Postal Used Cover. 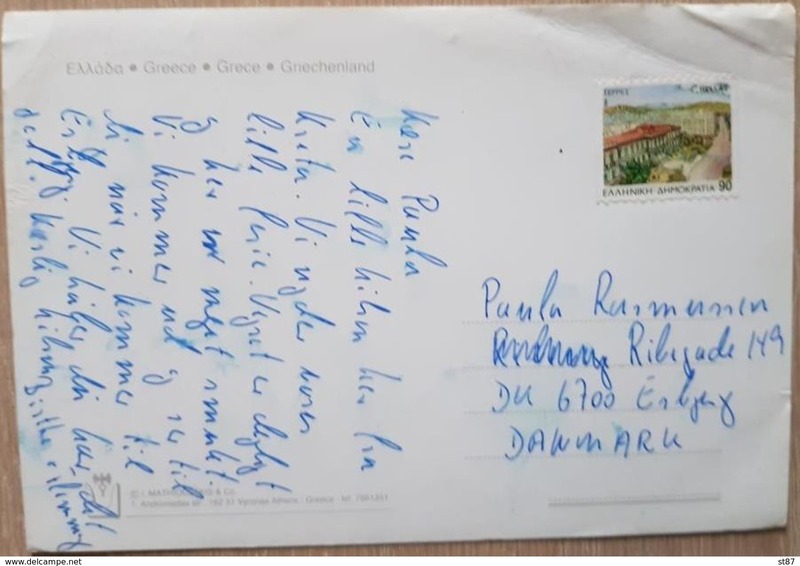 Post From Greece to Pakistan. 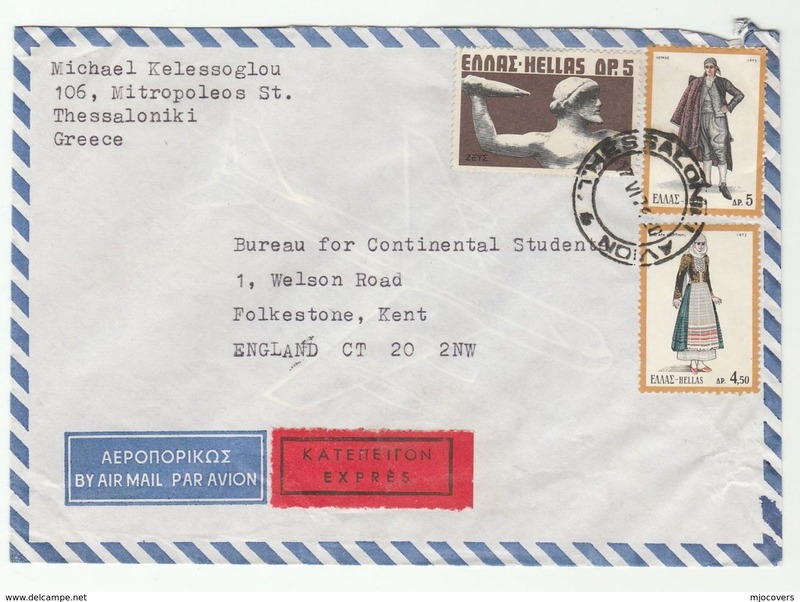 Greece 1933 ENAEP Aeroespresso set fine lightly mounted mint.